Who is God? How does God act in our lives? How are we to act as God's faithful people? 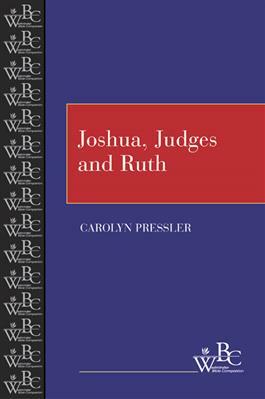 Joshua, Judges, and Ruth represent a chorus of voices reflecting on Israel's earliest days in its land. In Joshua, God empowers an obedient Israel to conquer the promised land. In Judges, Israel's faithlessness and God's wrath lead to a downward spiral of sin, subjugation, and social disintegration. Ruth narrates a story of divine blessing worked out through human loyalty.